PICTURED ABOVE: Boys varsity soccer senior night. 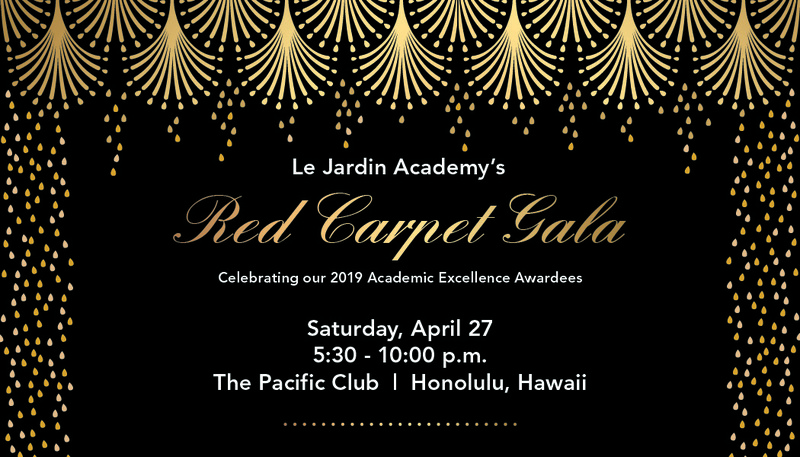 Don't miss out on your chance to nominate a deserving teacher or staff member for the LJA Academic Excellence Award! In addition to being recognized at an all-school assembly and our Gala, each winner will receive a $1,000 cash award. Click here to submit your nomination. For more information about the award, click here. The second video of our 'A Day in the Life' series is ready for your viewing pleasure. Click here to watch the video. If you haven't yet seen our 'A Day in the Life of a Kindergartener' video, click here. LJA's February parent learning will focus on ethical use of technology. 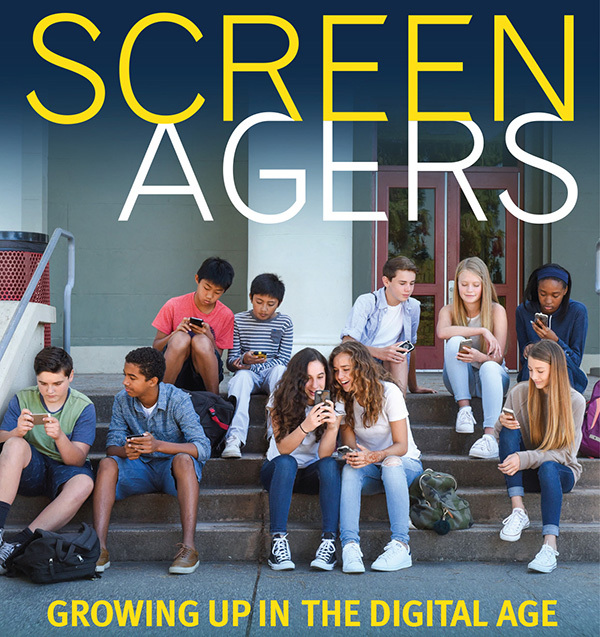 This event includes the showing of the film "Screenagers" which explores how teens interact with each other using electronic devices and whether parents should limit or control this behavior. The film will be followed by breakout sessions to facilitate communication between you and your child about screen time. This event is for students in Grade 5 and up. LJA offers various scholarship opportunities, including the Shapiro Family Scholarship and Don Dymond Scholarship. The Shapiro Family Scholarship is awarded annually to a current or incoming LJA student with one or both parents or guardians in the active U.S. military. The Don Dymond Scholarship acknowledges a LJA student's good work, both in school and in the workplace. Click here for more information and to see the full list of scholarship opportunities. Invitations for the Red Carpet Gala will be mailed shortly and we hope to see you there! In the meantime, we are working behind the scenes to ensure it's a successful event for everyone. We graciously ask for your support by making a donation for our auction; popular auction items include interactive experiences, travel packages, gift certificates, and event tickets. To make a donation or for more information about the Gala, click here. ARTSFEST 2019 is looking for food vendors and artists! If you are interested in being a food vendor, please contact Justine Miller. Professional artists wanting to sell their work and lead a student project should email Jordan Dodson. Berkana entered LJA as a JK student. Over those fourteen years, she has been a member of the Poly club, danced in every May Day since kindergarten, designed school posters and t-shirts for 4th and 8th grade trips, launched a video tutorial, and most recently was nominated in the Hawaiʻi Regional Scholastic Art Awards program. Sailing aboard the Makani Olu throughout the Hawaiian islands during the inaugural I-term this semester was a memorable experience for her. "I learned a lot, made new friends, and saw nature in all its beauty ." Academically speaking, "I'm thankful for learning French at LJA, and proud of achieving a consistently high GPA while juggling a job and dance." 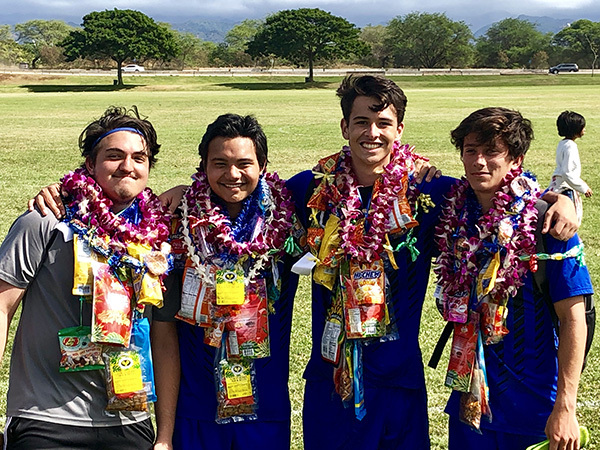 Berkana has been accepted to Santa Clara University, Loyola Marymount LA, Chapman University, University of Oregon, University of San Francisco, University of Hawaii, and Portland State University, and has been offered scholarships from all schools. Her final selection will have to wait, as Stanford, Cal Poly San Luis Obispo, and University of San Diego will be answering her application soon. Though uncertain what her major will be, "I'm considering art and computer science, business or biology; we'll see!" 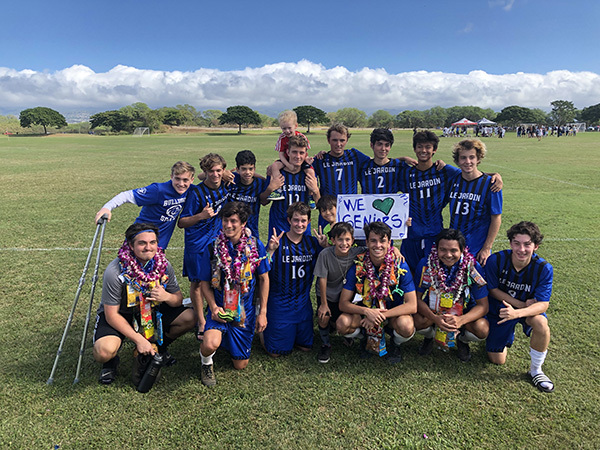 Wherever you go and whatever you do, Berkana, keep LJA close and connect with us often! The PFA is organizing another Professional Development Day potluck on Feb. 15 for teachers, administrators and support staff as they prepare for the final months of the school year. The theme is Tastes of Italy. Click here to sign up.